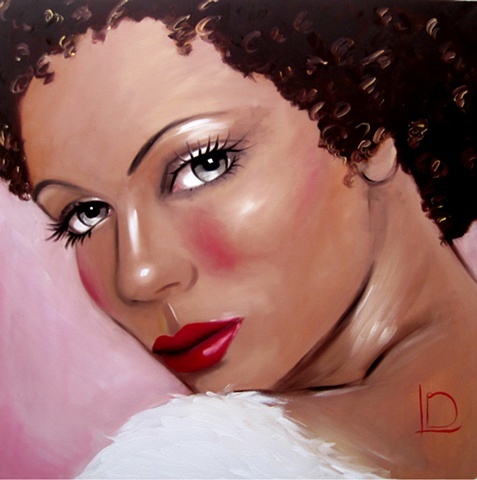 Rosie joins my other paintings of gorgeous, glamorous women with her golden skin and deep brown hair. Her pale grey/green eyes look out from the canvas, giving her a seductive feel. The background of the painting is a pale rose pink (hence her name). As with all my paintings, you can get in touch and reserve her- collecting her from my Brighton studio... or, click through to my Picture Emporium to buy her and have her delivered to your home.